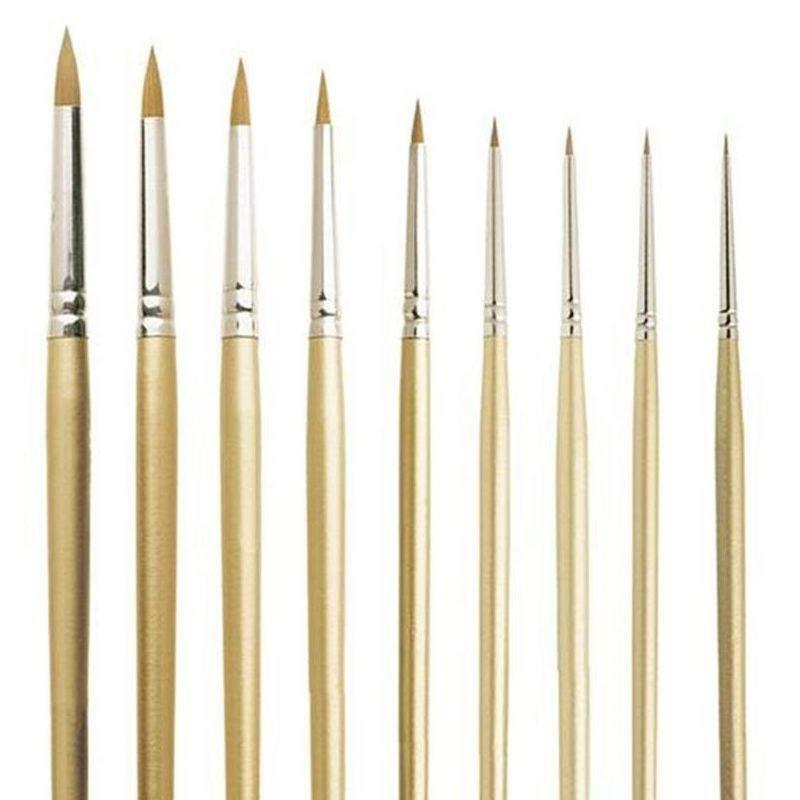 These spotting brushes were formulated with the model maker and miniaturist in mind. 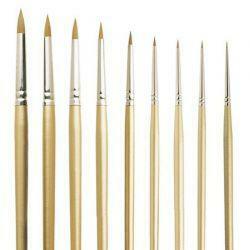 Little of the brush filament is visible but the tip is very sharp giving great spring and precision in use. 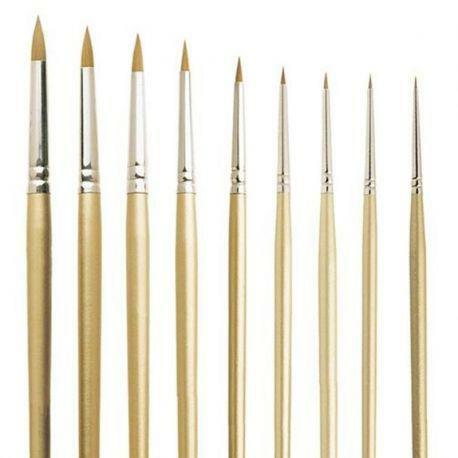 Seamless nickel ferrules, gold polished short handles with black tips.